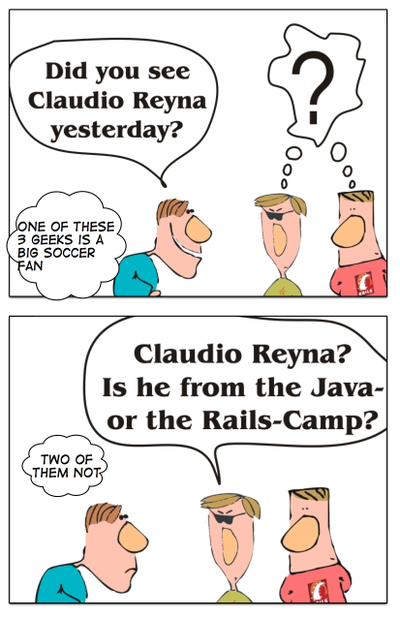 This cartoon is dedicated to all Geeks being soccer fan (esp. in the USA where it is presumably not as easy as in the rest of the world; but as I'm not living in the USA I can only guess). A prominent example is Joe Nuxoll of the Java Posse, who avowed himself as a soccer fan in episode #61).